Recently, I had a phone interview with a website editor about potential work. Prior to the call, I studied the articles on the site and extensively researched the topics on which I hoped to gain assignments. I felt confident and well-prepared for the call. However, the conversation didn’t go as I expected. The editor was brusque and impatient and knocked down my article pitches before I had even completed my spiel. Although she invited me to email additional ideas, she abruptly ended the interview halfway through the allotted time, leaving me with the distinct feeling that it was pointless to make additional attempts. It was hard not to feel rejected and like my efforts were wasted. Many times, maybe most of the time, things don’t go as we envision. We plan what we expect will occur, and when it doesn’t, we’re surprised and often upset. Perhaps it’s a well-researched, long-planned vacation that ends up being a week of torrential rain in less-than-wonderful accommodations. Or a business endeavor where you do all the work and someone else gets all the glory. And then there are those unexpected diagnoses, injuries, deaths, or job terminations that leave us reeling and wondering what will happen next. 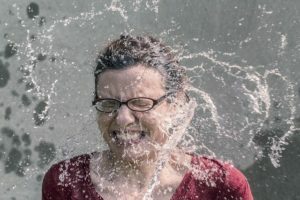 Feeling life is unfair – When my children were young, and things didn’t go their way, the prevailing wail was “No fair!” We all feel that way at times. Life is rarely fair, but I have yet to find documentation that we’re guaranteed it will be. While it’s normal to feel what is happening to you is undeserved, try not to drop into self-pity mode. It’s a hard pit to crawl out of once you’re in it and delays the process of moving beyond what happened. Feeling out of control – Most of us live with the illusion that’s we’re in control, but it only takes one dose of the unexpected to quash that myth. Feeling out of control leads to fear. Resist fear. It’s one of the greatest enemies of forward motion. Feeling you failed – The red guy with the pitchfork loves to whisper the words “you’re a failure.” Find some earplugs and use them. Don’t be your own worst enemy by listening to voices that say you didn’t try hard enough, aren’t smart enough, capable enough, or whatever enough. As difficult as it is to understand, many elements factor into what happened other than your abilities, and, in time, you may see blessings from what you now perceive as devastation. Resist reruns – When the unexpected happens, resist the urge to pitch your tent on the event and camp there. While it’s important to review what happened and process the emotions surrounding it, don’t keep hitting the replay button again and again, cursing those involved, rehashing the event, and reanalyzing the details. Recognize affirmations – Sometimes, when you’re knocked down, you fail to see elements of affirmation in your circumstances. But look for them. Pay attention when people provide positive feedback and encouragement. Don’t get so focused on negative aspects that you fail to recognize positives. Be open to and aware of affirmation. Focus on what’s ahead – Often, I see people who can’t let go of a difficult life experience. They keep returning to it like a vulture to roadkill. They pick at it, plucking the scab off the wound, and won’t allow themselves to heal. 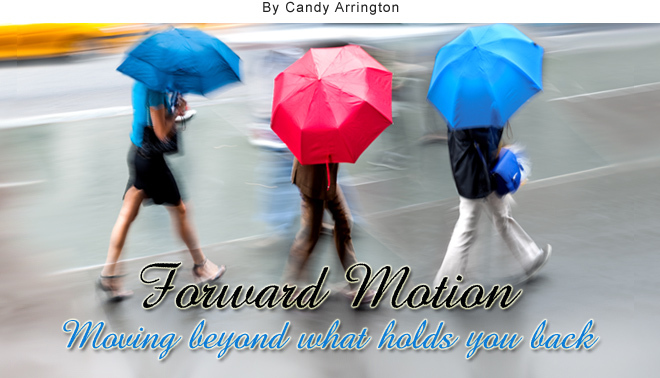 Forward motion requires closing the door on what happened and opening the next one, even when the light under the next door is dim or non-existent. Don’t allow a difficult life event to define you and become a platform that shapes the rest of your life. Break the tie that chains you to the past and move into the future. Trust – Trust is hard because it involves relinquishing control and believing the yet unseen is going to happen. God is in control and knows what’s best for you. God never promised we’d be free of hardship and struggle, but he does promise to walk with us each step of the journey, carrying us when we falter, and making a way when none is visible. Don’t allow a difficult life event to define you.